The strength of the sea and the virtues of the thermal waters, the sunny friendliness we show our guests, the impeccable service, which the Central Hotel has earned its undoubted prestige. Sleep well in our comfortable spacious rooms and suits designed: unique style down to the smallest details. 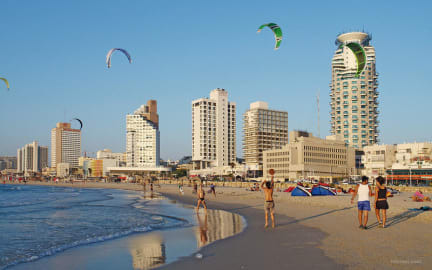 Discover the TLV vibe by Central Hotel. Late cancellation or no show's full amount will be charged. Great little place, when I say little I mean it. Tiny room with not much more than a bed and a tv with an ensuite bathroom. The owner was friendly and informative and the location was only minutes from the beach and many great bars and restaurants. Would have like to have stayed a little longer to enjoy the area but we only stayed for a night. All in all a great place to crash at the end of the day. All is clean, good location ! 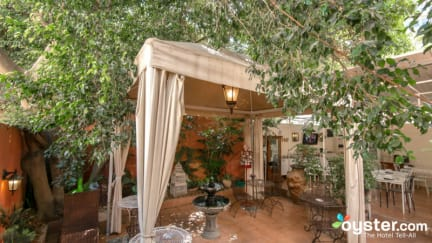 Good location in central Tel Aviv, however, very basic rooms for the price.